In 1986, Metallica went from local San Francisco Bay Area garage band to support act for part of the U.S. leg of Ozzy Osbourne’s Ultimate Sin tour, as well as headliner of their own European tour. 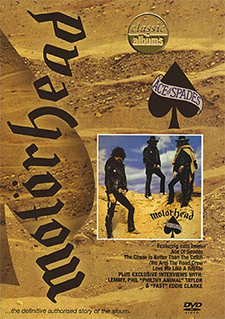 The four very young men — singer/guitarist James Hetfield, drummer Lars Ulrich, lead guitarist Kirk Hammett, and bassist Cliff Burton — had only been playing together for three short years, but in that time, they released their first three albums, all of which eventually went on to be regarded as some of the greatest in all hard rock and heavy metal. It was their third album, though, Master Of Puppets, which put them on the map and skyrocketed them to fame. But, with success and popularity also came a devastating blow when they lost Burton when he was killed in an accident after the band’s tour bus skidded off the road in Sweden. The respected bassist, who had been like a big brother to his younger bandmates, was only 24 years old. Another band might have fallen apart and never gotten past such a heartbreak, especially if they were that young and just starting out. But the unyielding musicians in Metallica knew no other life but the road and no other destiny than with music, so with the blessing of Burton’s parents, they persevered. They continued to create. They went on pounding out aggression all across the land on every stage they hit, until they became not only the kings of thrash metal, but one of the top rock acts of all time… and they’re still on top today. Although a lot has been written and documented about the band over the last 30-plus years, including those early days, there’s never been any personal memoirs. And while the members of Metallica have always spoke highly of Burton throughout the years and have tearfully relayed the events that occurred on the early morning of September 27, 1986 when they saw their brother killed in front of them as they and their devoted crew stood injured and freezing on a Swedish highway, they’ve managed to keep some details about that time private. Now, the surviving members have joined with Insight Editions, in association with Moonrise Media, for Metallica: Back To The Front: A Fully Authorized Visual History Of The Master Of Puppets Album and Tour, written and compiled by Matt Taylor. So says Metallica, on “Hit The Lights,” the opening track of their 1982 demo No Life ’til Leather, which, after over three decades, is finally getting an official release for this year’s Record Store Day. 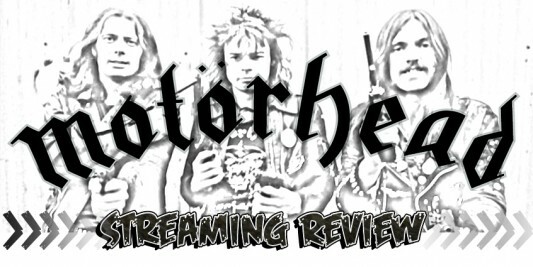 The mighty Metallica will be releasing the 1982 demo No Life ’til Leather as a re-mastered limited edition cassette tape for Record Store Day this April. 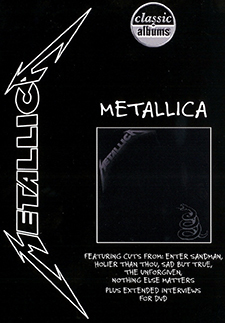 This offering will contain the original demo recordings for the seven songs that went on to make up the bulk of the thrash metal legends’ first album, 1983’s Kill ‘Em All, including the popular “Seek & Destroy.” The demo tracks were performed by the band’s original line-up of James Hetfield (lead vocals and rhythm guitar), Lars Ulrich (drums); Dave Mustaine (lead guitar), who went on to form fellow Big 4 thrash band Megadeth; and Ron McGovney (bass). (For Kill ‘Em All, current guitarist Kirk Hammett replaced Mustaine, while Cliff Burton, who died in 1986, stepped in as bassist). The limited edition Record Store Day demo tape release will have a re-mastered version of the original 1982 mix, and this will be the first time the demo is being offered commercially ever. See cassette art and track listing here below (image above is of the aforementioned original line-up, but is not an official photo for the limited edition cassette release and was not included in the press release). 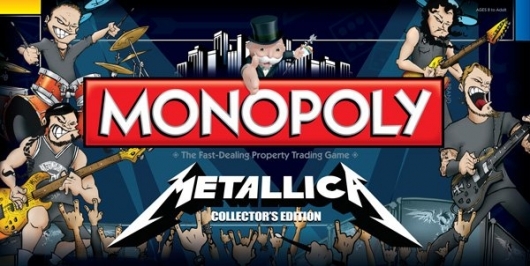 Metallica must REALLY need cash! That’s the only explanation that I can come up with for the lows that they are willing to sink to these days. In their latest display of shameless corporate whoring, they appear in an ESPN commercial, shilling for the network’s show Sports Center. Granted, the ad is actually sort of funny, but c’mon… you just know that these meat-head jock dudes are the same guys that were giving Kirk Hammett swirlys in the junior high boys bathroom. For my first Thrashback Thursday post on Geeks Of Doom, I am going back to where it all started for me. My friend Tony had told me “There is this new band called Metallica that you have to hear… they’re amazing!” So off I trekked on my bicycle to my local record store and bought 1984’s Ride the Lightning on vinyl. When I got home and dropped the needle on the first song, I was met by this beautiful little acoustic guitar part. I remember thinking “Well, this is nice and all, but…” and then it happened. When “Fight Fire with Fire” kicked into full swing, my life was very literally changed forever. Say what you will about their later output, those first four Metallica albums will always be the pillars of thrash to me. So here with the opening track of Ride the Lightning is Metallica live in Canada in 1986 on the Master of Puppets tour. You can check it out below. Metallica has performed all over the world on every continent except Antarctica — until now! The band ventured to the frozen continent to perform their very first show there, which took place on December 8, 2014 near the heliport of the Argentine Antarctic Base Carlini. Research station scientists from various countries as well as contest winners were in attendance at the historic show, which featured the band members — singer/guitarist James Hetfield, lead guitarist Kirk Hammett, drummer Lars Ulrich, and bassist Robert Trujillo — playing inside a clear dome with no amplification with the fans listening to the concert through headphones. Check out a few photos here below the band released from their antarctic performance. 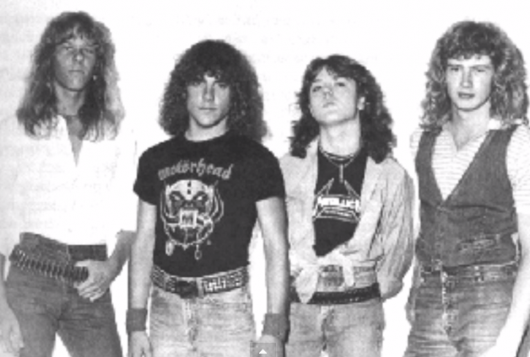 With the buzz surrounding Metallica’s upcoming movie, Through The Never, I thought I’d take a glance back at the band during a major turning point in their career that would see them go from heroes of the Thrash Metal scene, to a worldwide phenomenon. 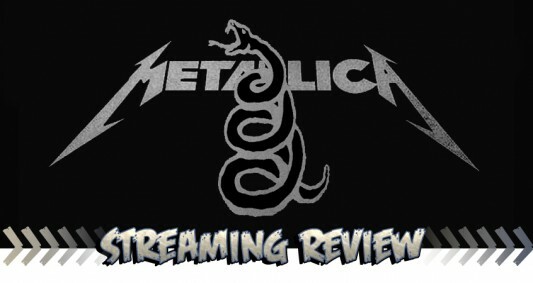 The Black Album became Metallica’s springboard to international recognition, propelling into the mainstream, an accomplishment that still largely divides fans to this day. Prior to 1991, Metallica’s reputation was legendary among metalheads following underground movements. During the Eighties, as far as MTV was concerned, Heavy Metal was all glam and hair; with bands such as Ratt and Poison taking a front seat in the mayhem mainstream. But elsewhere, metalheads knew there was far more to the rapidly growing genre, and that there was more variety in the scene that involved less hairspray and less lipstick. The undisputed kings of heavy metal, Metallica, made their very first appearance at San Diego Comic-Con today. All four members of the icon band – James Hetfield (vocals, guitar), Lars Ulrich (drums), Kirk Hammett (lead guitar), and Robert Trujillo (bass) – came to the convention center’s Hall H to promote their upcoming 3D film, Metallica Through The Never. Director/writer Nimród Antal (Predators) and producer Charlotte Huggins (Journey to the Center of the Earth) also appear on the panel, which revealed the world premiere of the film’s theatrical trailer and poster, as well as exclusive preview footage. Check out the theatrical trailer and poster here below. The movie stars the band in concert performance sequences, along with actor Dane DeHaan (from The Amazing Spider-Man 2) as Trip, a roadie who is sent on an urgent mission to pick up a bag during one of the band’s sold-out shows. Tripp’s mission gets diverted after his van crashes; when he emerges from the wreck, the city seems to have gone mad, with rioting and a masked horseman riding through the streets hacking at and lassoing the citizens. But Tripp still has his job to do and the audience is left to wonder, what’s in the bag?